Since Fort Point was closed, my friend and I walked along the water front and what I believe is the Baker Beach Trail to reach the Golden Gate Bridge. Here are three final, random photos of the Bridge from this trip to San Francisco. Golden Gate Photo #1. 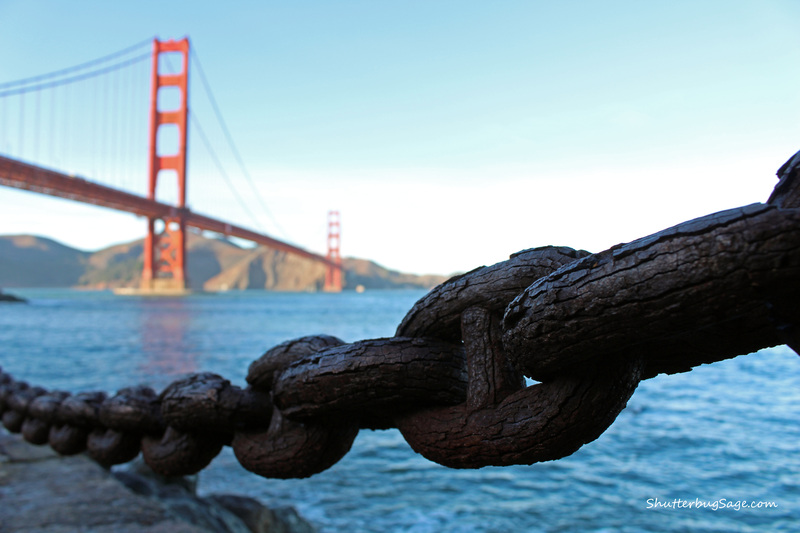 The thick, metal chain separating the San Francisco Bay from the road shows the wear caused by the salty air. Golden Gate Photo #2. A new view of the Golden Gate Bridge for me. Usually I am on the other side when I take my photos! Golden Gate Photo #3. 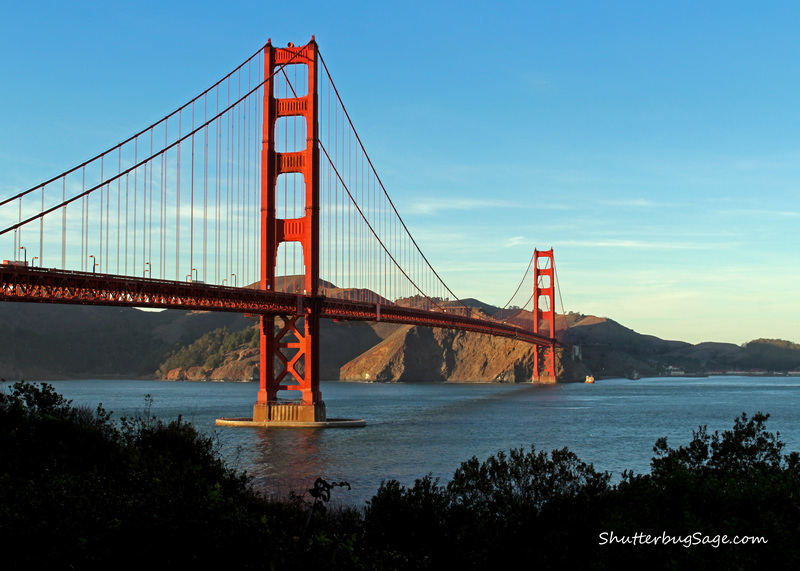 A large replica section of the bridge was stress tested by the University of California at Berkeley Civil and Environmental Engineering Department. It’s now on display along a trail overlooking the bridge. I like them all, but #2 is my favourite once again :). I like #2 also. Maybe try to post the same photos again in a different order and see what results you get. LOL! I don’t think so :).